Reclamation & Representation: Can you help create an archivist's tool kit plugin for Omeka? Can you help create an archivist's tool kit plugin for Omeka? 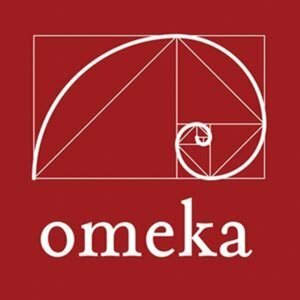 "After recently taking a look at Omeka, a thought occurred to me. Wouldn't be great if records from the Archivist's Toolkit, AT for short, (http://www.archiviststoolkit.org/) could be published to an Omeka instance. This would clearly seem to have value to institutions that use the AT for cataloging work, but don't have an accessible public publication platform. Taking a quick look at the code needed to do this, it seems that it would require an Omeka plugin, and an AT plugin. The Omeka plugin would handle authentication, and metadata and/or files sent to it by the AT plugin, then create the Omeka records (Collections, Items, and Files). The AT plugin on the other hand would allow users to select AT records to publish to Omeka. Ideally this can all be done with one- click. Now, I saw that there is a plugin for importing EAD finding aids already, however, this only allows transfer of one of the record types in the AT, not other relevant ones (i.e. Accessions, Assessments, and Digital Objects) which an institution may be willing to publish. So from my point of view, there is value in doing such a project; however, there are few questions which I hope this group can help answer. 1. What would be the general interest level be in this?Are there a lot institutions that use both tools now, or could such a product drive adoption of Omeka by folks currently using the AT? 2. Would there be interest in supporting this plugin on Omeka.net? I can even imagine a plan which would host both the AT database also.